Farmhouse Thrift Store Makeovers You Will Fall For! 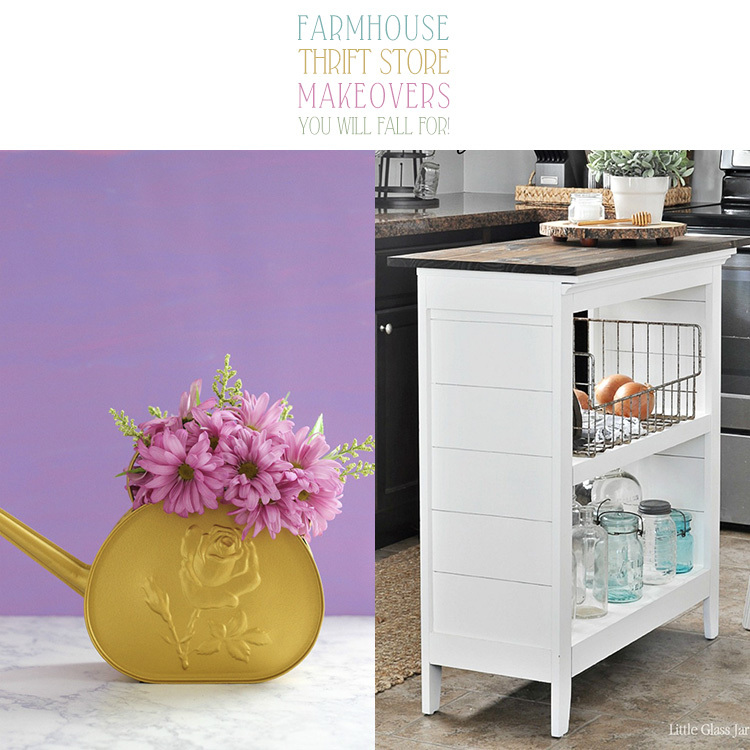 Today we have a collection of Farmhouse Thrift Store Makeovers You Will Fall For…for sure! You will see little Thrift Store finds come together to make something awesome…a Crib that turns into a picture perfect Child’s Bench with Storage…A Coffee Table get a new Farmhouse Lease on Life and much more. So sit back…chill a bit…enjoy a cup of your favorite brew…Enjoy…be Inspired and Create! 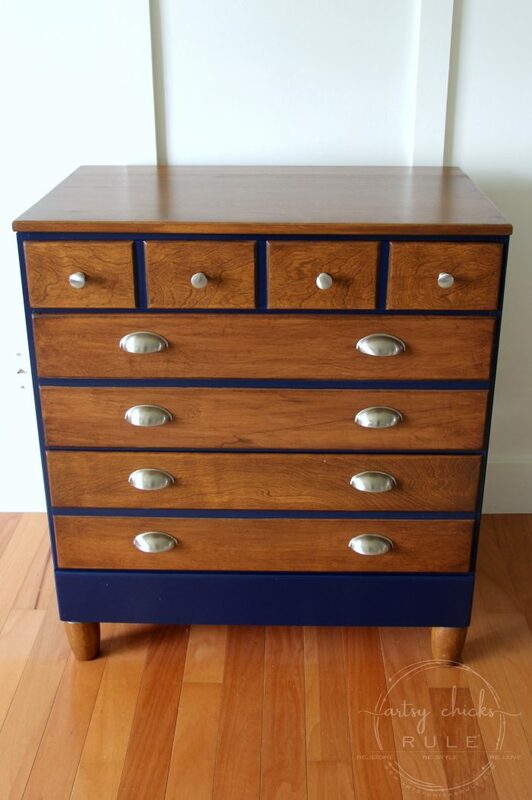 This was once a poor….sad little dresser…but once Nancy from Artsy Chicks Rule got her hands on it…that all changed! Come and watch how she turned this dated piece into a Contemporary Farmhouse Beauty! You will be inspired and I am sure that the technique will come in handy when you work on your next piece. Come and visit Kathy over at Petticoat Junktion and she will show you how 2 odd pieces from the Thrift Shop were just destined to be together! You are going to love the end result and it will totally inspired you to create! Come and see the Transformation of this Thrift Store Coffee Table. 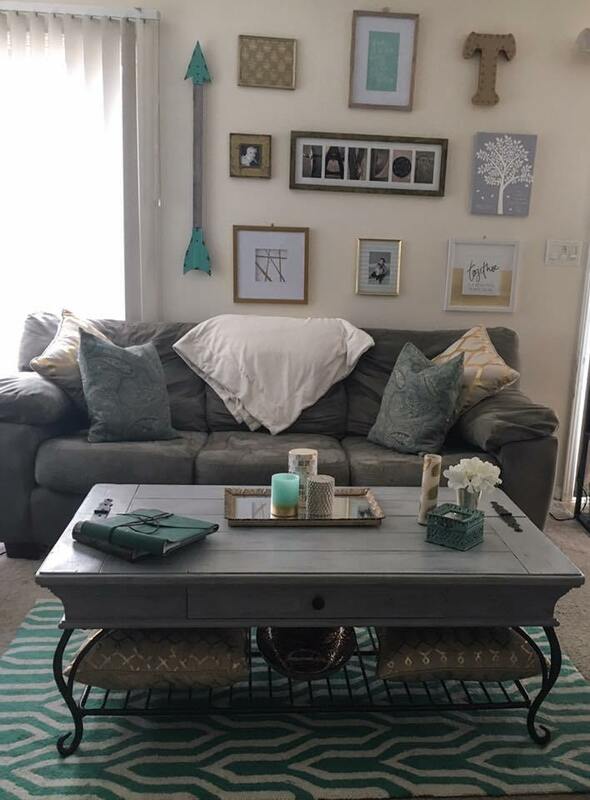 Thrifted and Taylord is going to share a fabulous idea that you could use to get that Farmhouse look you love. What can you make with a ton of Embroidery Hoops that you find on the cheap at your Thrift Store??? 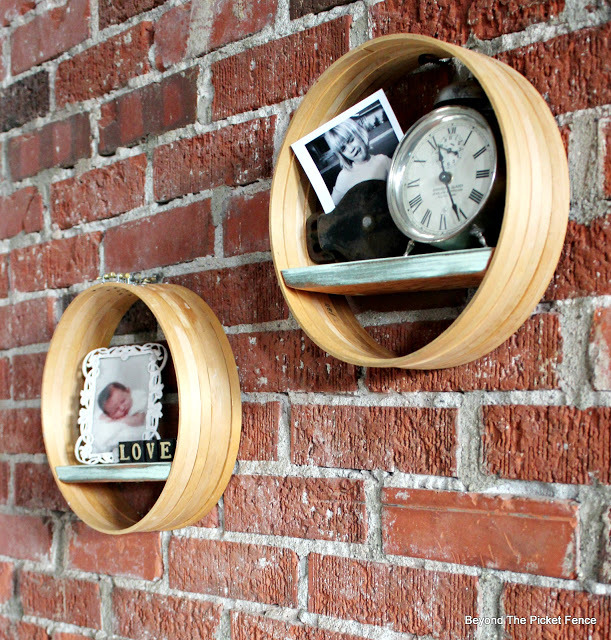 Well if you visit Beyond The Picket Fence you are going to find a brilliant project for them that you will love. A great contemporary Farmhouse look! 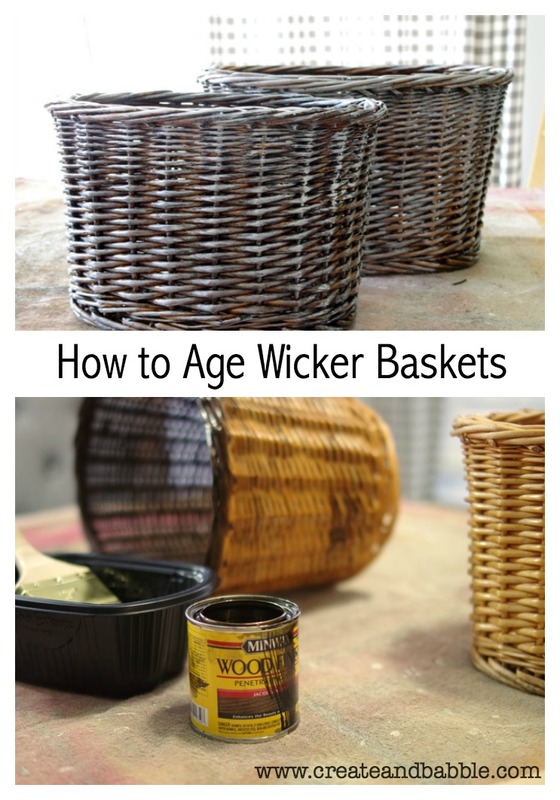 Jeanie over at Create and Babble is going to show you how you can take an inexpensive Thrift Store Basket and age it with the perfect Farmhouse Beauty. You will be able to use this technique on any basket your find and you will be able to make it work perfectly for your home. 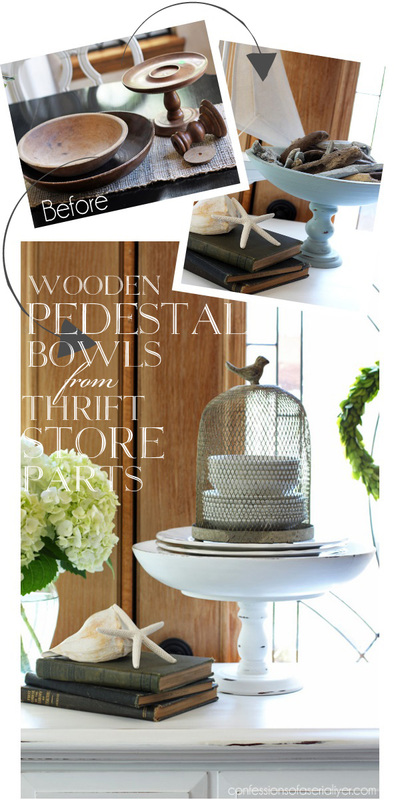 Christy from Confessions Of A Serial DIYER had a few odds and ends that she collected from the Thrift Shops and such and she decided to put a few together and check out these beautiful Pedestal Bowls! She is going to show you exactly how they came together…LOVE the LOOK! 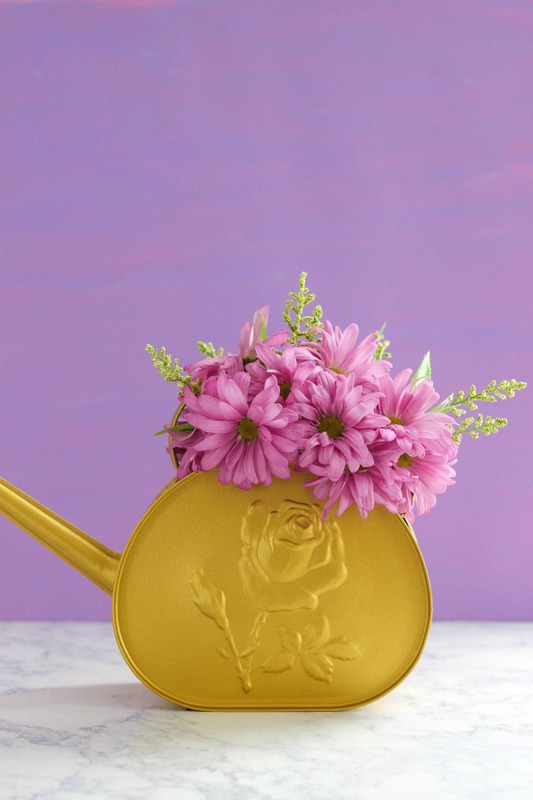 OK…truth be told Purely Katie found this fab Watering Can on Ebay but I am sure you could find something equally as fabulous at your Thrift Shop! She painted it her favorite color and added fresh blooms…is your head spinning with ideas right now…bet you it is! 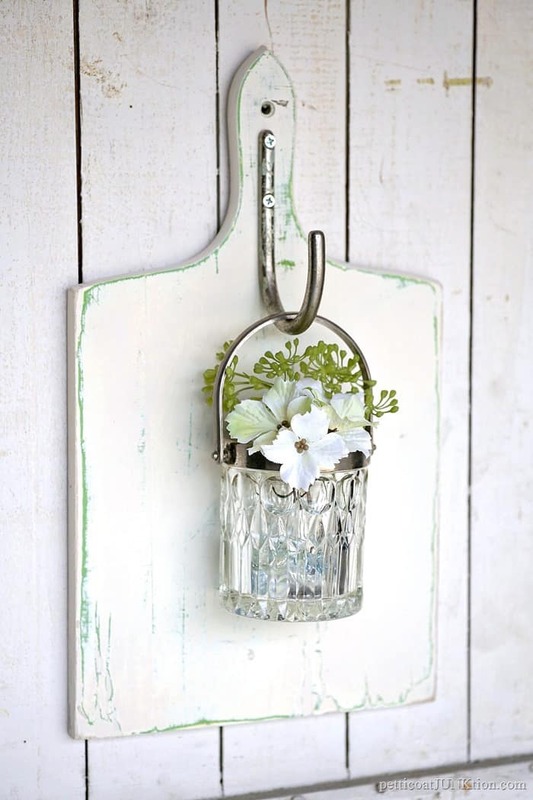 So the next time you see a Watering Can…a Teapot…a Coffee Pot…it could be your next Farmhouse Vase. When the crib is no longer full and the little ones get to go in their own big bed…Grillo Designs has the perfect DIY Project for you. 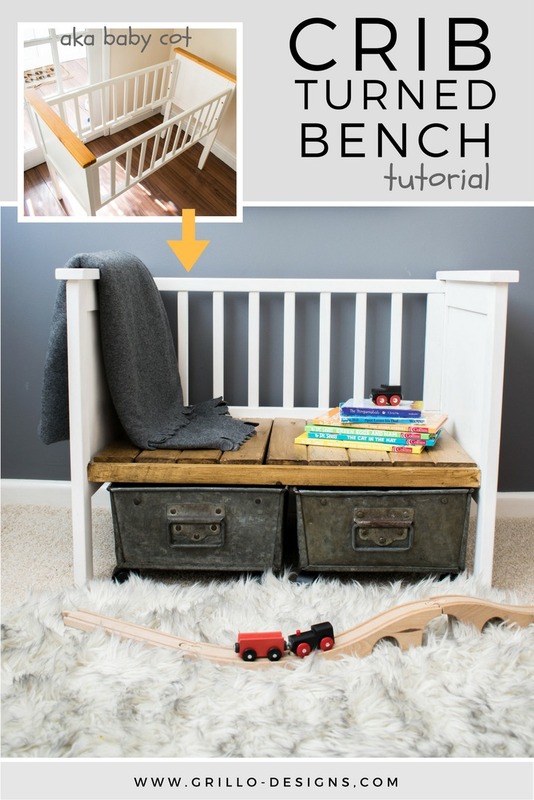 Come and see how the crib turns into a fabulous Farmhouse Cottage Style Bench for the kids! Store the toys below while the kids sit …read…play! Watch as Little Glass Jar turns a simple Thrift Store bookshelf into a fabulous Farmhouse Style Bookshelf Kitchen Island. Be inspired and look for a Bookshelf! 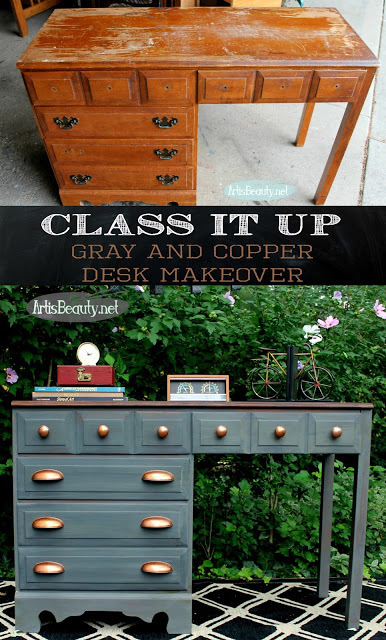 Art is Beauty will show you how to take an old…scratched and worn out desk to a totally fantastic piece of Farmhouse Furniture. The Copper and Gray look looks amazing…see how it is done and be inspired.